Build and maintain video interfaces that spill beyond the edges of your screen. Vigour is a highly customizable front-end platform that delivers fluid, habit-forming interfaces to your growing audience. Deployed from a single codebase, Vigour technology lets your content thrive on all devices. Adopt our award-winning white label apps, or build your own custom solution. Gain direct access to a constantly growing platform ecosystem without any additional expense. 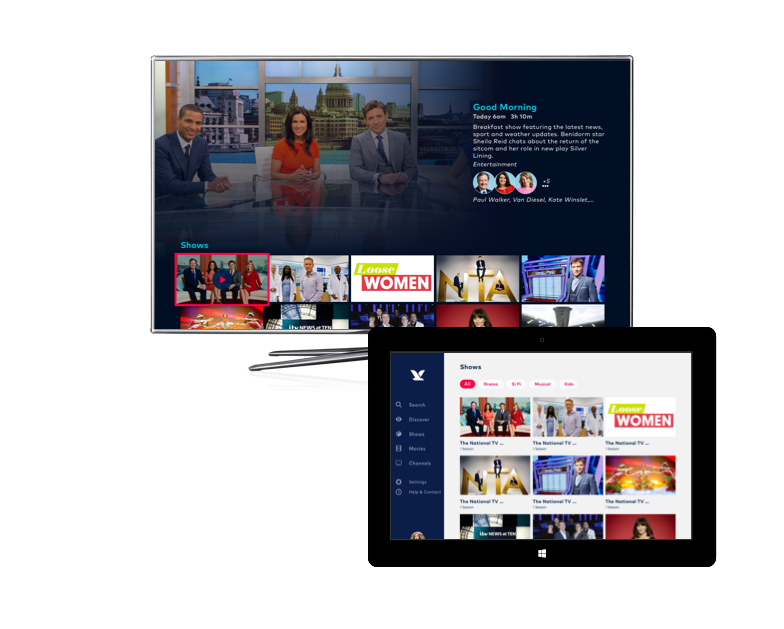 Reduce development and maintenance costs across all devices and support multiple branded video services. Eliminate development obstacles and ship your content fast with our proven front-end environment. 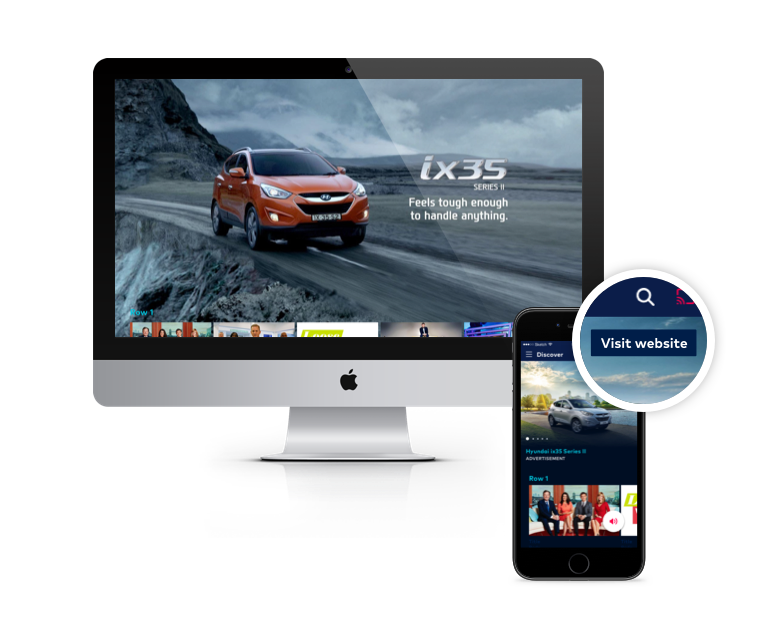 Gather comprehensive understanding of customer journeys and content consumption across all screens. Vigour UI turns all devices into a single canvas. As digital mediums evolve, so must the frontend user experience. More than ever, users expect content to be accessible, personal and relevant regardless of their context. 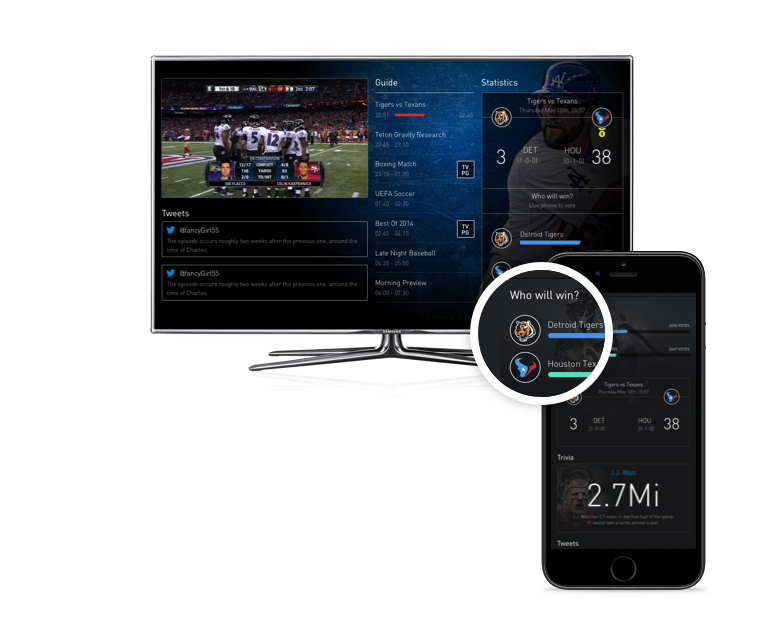 Contextual Multiscreen equips you with a holistic solution to quickly scale into every device ecosystem, connecting previously isolated platforms with fluid interaction paradigms that blow past the edges of first and second screens. Every device brings something unique to the table. The Vigour platform intuitively combines these strengths for a better experience. Use a touchscreen or keyboard to input data on a TV. Swipe content from one screen to another when switching between ‘home and on the go’. Use a big screen to support navigation and discovery activities from a smaller device in real time. The Vigour component library, Play, broadens the scope of user flows to uniquely fit your audience. Your content proposition ‘expands’ when a larger canvas is available, and returns to a regular experience when screen real estate is limited. 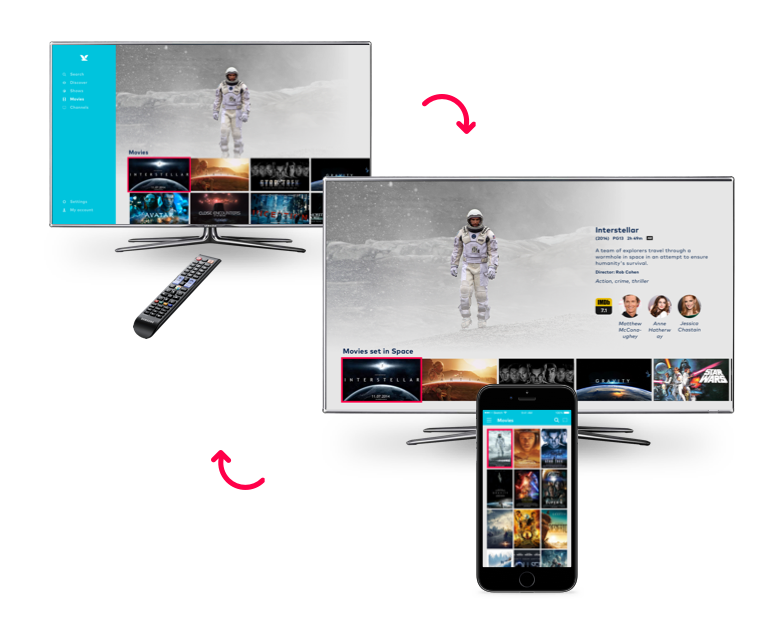 Second screen content becomes part of your core product, not hidden in a separate application. This provides more touch points for both content creators and advertisers. Fluid interaction between screens provides opportunities for new content models and allows additional real estate to be monetized. Our team is equipped to to provide guidance every step of the way, from ideation to maintenance mode.